Using drapery holdbacks in a unique way to hang the valance, this custom window treatment matches the grandeur of the dining room. The floor to ceiling side panels in a neutral tone frame the view and the soft valance has a double panel to bring in a touch of warm color. Installed at the ceiling line and using crown molding as a cornice, this window treatment continues the drama all around the bedroom. The triple layer of sheer curtains, side panels, and a softly pleated valance brings a feminine and luxurious feel to this bedroom. Matching garland tassels line the edges of the fabric for an extra touch. Roman shades can be just as dramatic as floor-to-ceiling window treatments, especially when used in a large master bathroom. Mounted at the ceiling, the solid color doesn't compete with the rest of the design and makes the windows seem even larger than they are. 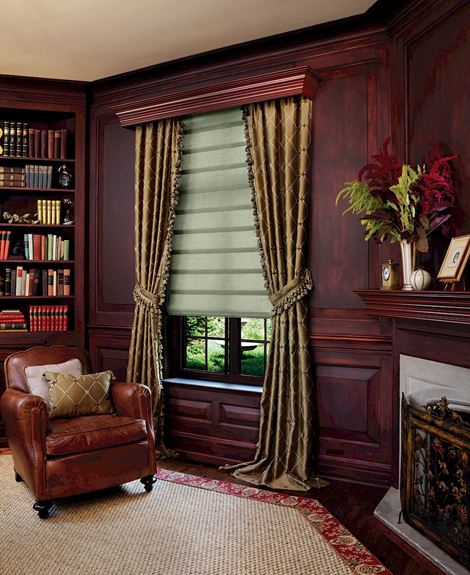 This sleek look offers privacy and light control when paired with inset blinds. Using dark stained crown molding to match the fireplace mantle and wall paneling, this wooden cornice adds to the old-world, masculine ambiance of this study. The beautiful and luxurious side panels in a classic fabric design puddle to the floor and are pulled back by tasseled ties to allow for light control. 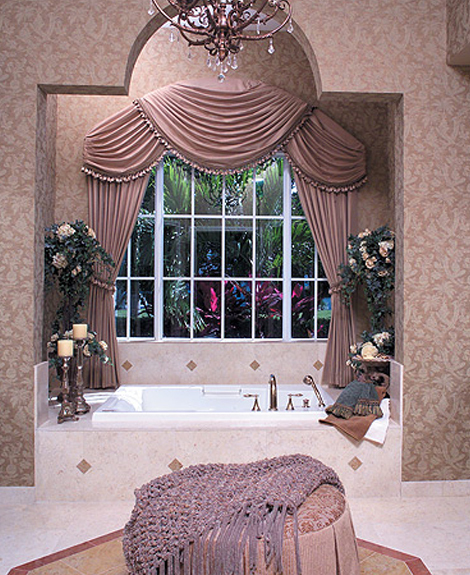 Give your master bathroom the “wow” factor you've always dreamed of with these custom drapes and arched cornice. By using fabric which matches the wall color, the soft pleats will blend with the feel of the room and give you the relaxed yet polished and luxurious ambiance you're looking for. 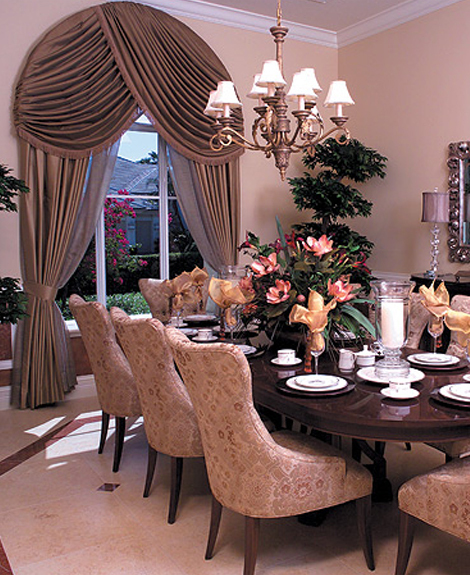 This is the perfect way to showcase the gracefully curved windows in your dining room or living room. The crisscrossed top treatment follows the lines of the arch and the side panel drapery folds effortlessly to the floor. 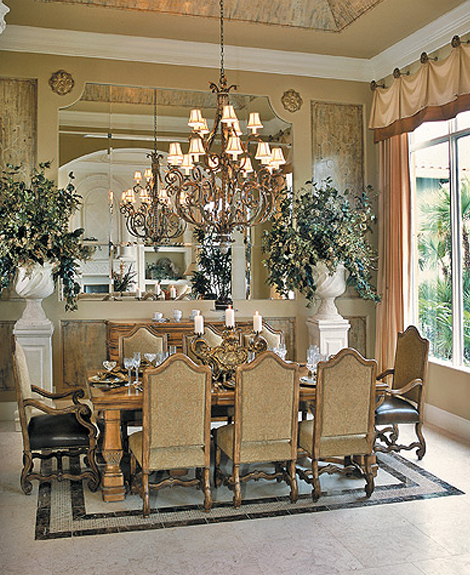 Although it is both dramatic and elegant, this window treatment still matches the scale of the room. 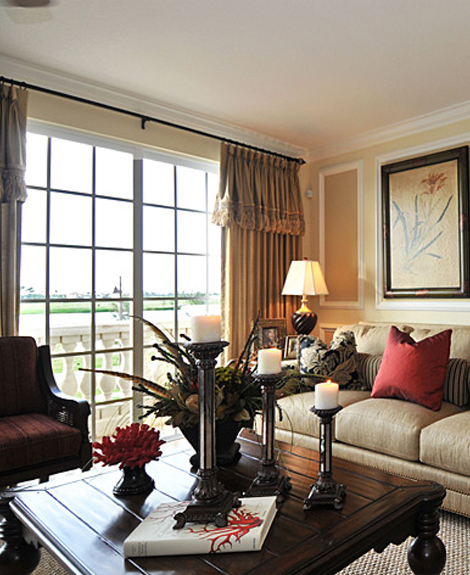 These simple and elegant window treatments showcase the curtain rod and drapery clips along with its stylish design. 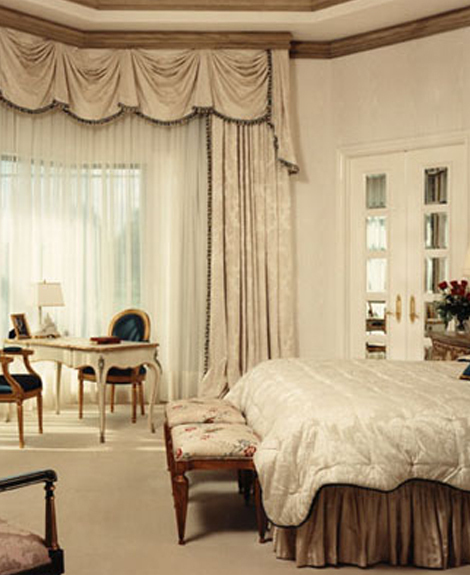 The long panels are topped with a matching valance edged in tasseled garland. 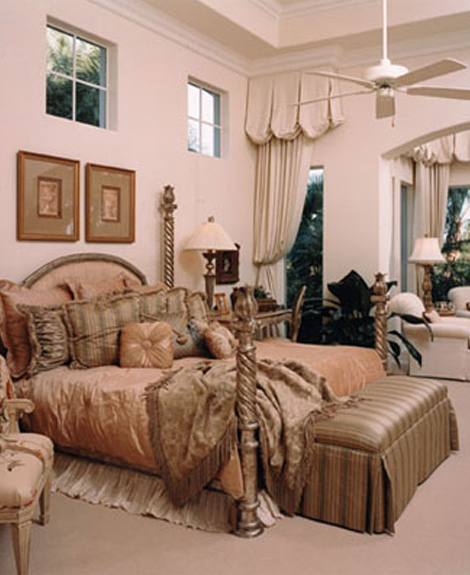 The solid colored yet luxurious fabric allows the room to remain relaxed and comfortable and lets the decorative pieces in the room to take center stage. 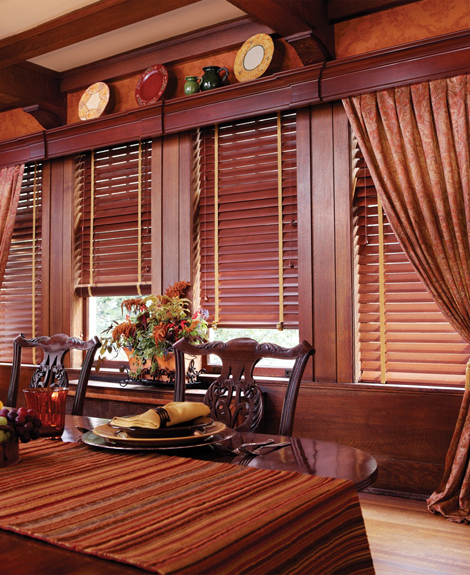 Wood, wood, and more wood create this beautiful and dramatic window treatment that includes a dark stained cornice and matching inset blinds. Pinch pleated side panels soften the look of the dining room windows and keep them from being too stark by showcasing gorgeous fabric gracefully puddling to the floor. To match the grand scale of this master bedroom with its tall, dramatic ceilings, these treatments are hung high above the window at the ceiling line. This also helps to balance the line of the other windows throughout the room. The balloon valance provides a graceful look and covers the drapery hardware. Long panels provide privacy.